Alligator Alley trail is back open. Wild hogs hiding in the bushes. Not sure where the term “pigtails” comes from? One of the main trails, Alligator Alley, was finally back open after closing in September of 2017. When Hurricane Irma came through, the trail was washed out and a lot of damage was done to that part of the park. The raised trail across the marsh was finally rebuilt and it was great to walk down it again in late January. Out on the dock you could see the bald cypress trees going bald for the winter. 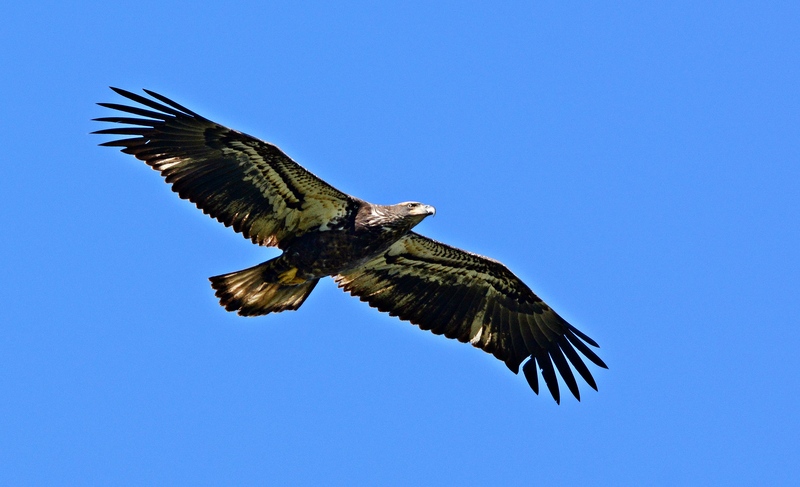 Juvenile bald eagle soaring overhead. “Now it’s a party.” Too bad they didn’t land where we could see them. 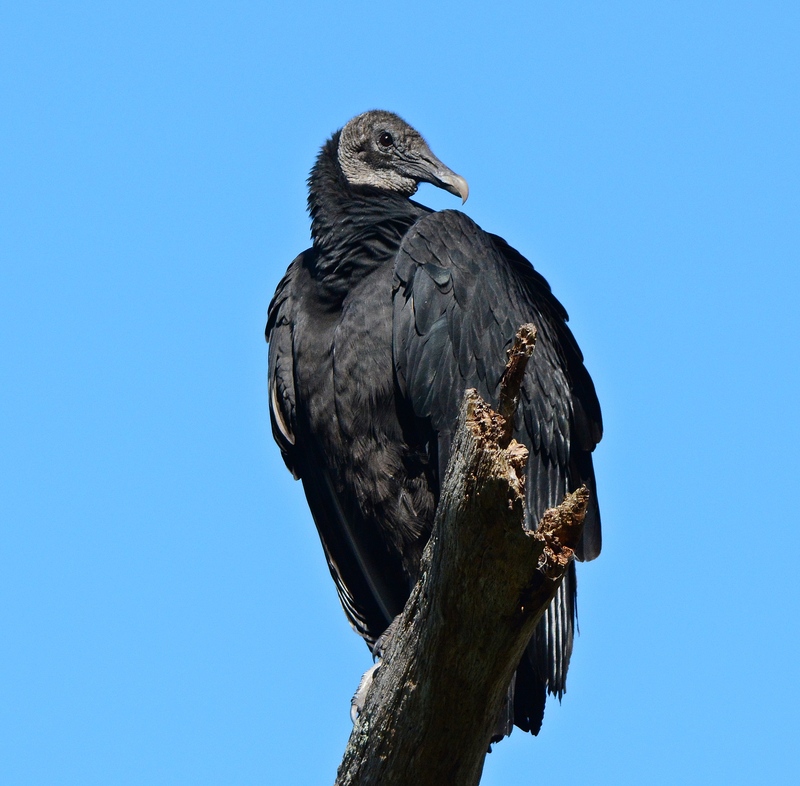 The black vulture has an all black face. 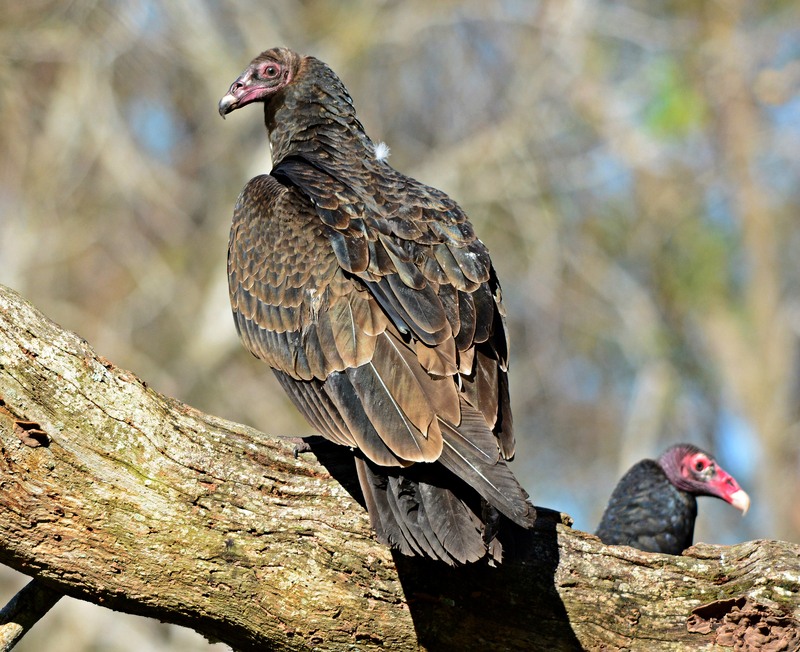 Turkey vultures have a pink face. The one in the front looks like a juvenile. His face will turn darker pink like the one in the back and his feathers will get darker on his next molt. 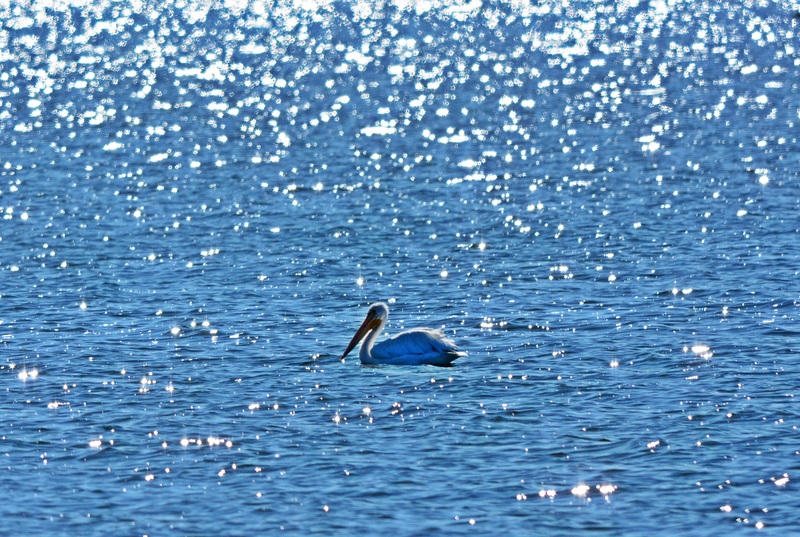 A lone pelican swimming in the lake. 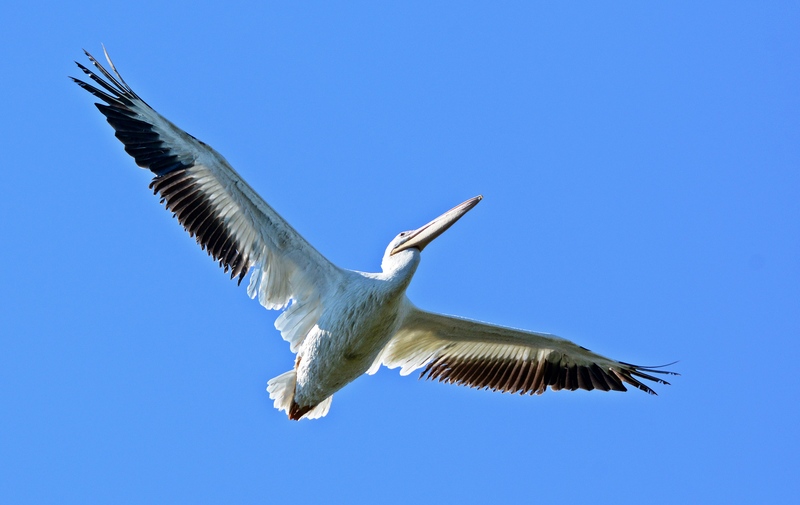 At first all I saw was the one white pelican swimming by far out in the lake. 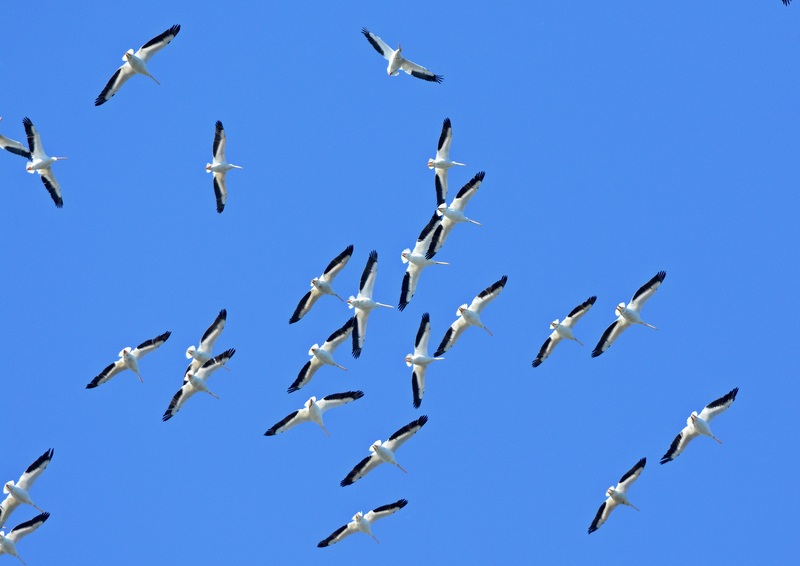 Later down the trail, hundreds of them flew overhead. They may have been heading to the other side of the lake but we couldn’t see them from anywhere on the trail. It was a beautiful sunny morning in late November at Circle B Bar Reserve. Even surrounding a turkey vulture with yellow flowers cannot make him attractive. This is the first time I’ve seen a Wilson’s snipe at Circle B Bar Reserve. He was hiding in a small puddle out in the marsh. 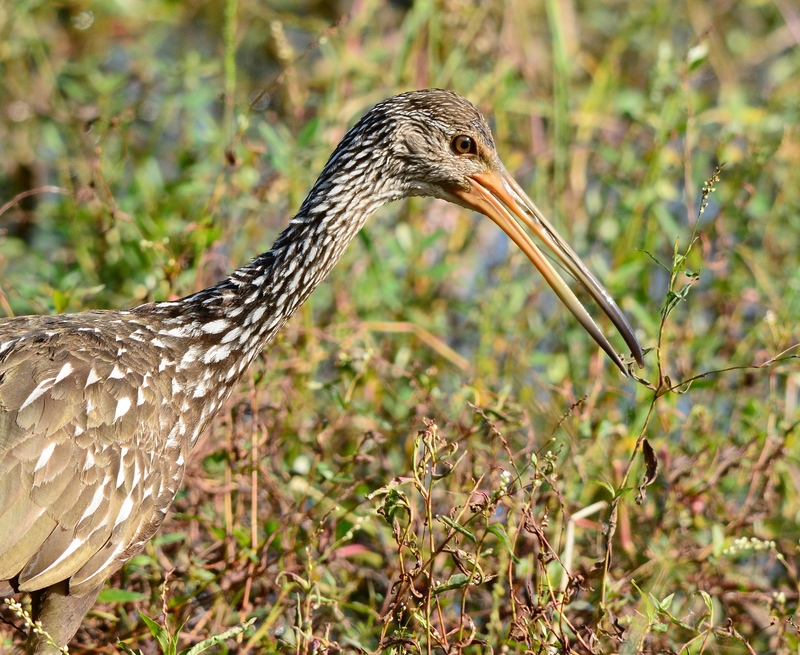 The usual limpkin with a snail shot. Tern. 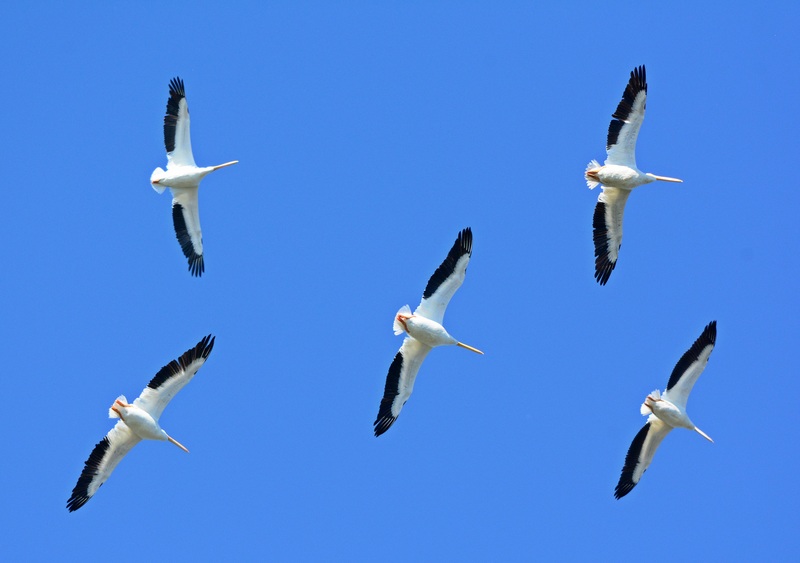 It’s weird to see seabirds hanging out in central Florida. Shouldn’t they be at the beach? The first great blue heron’s nest of the season at Circle B. The nest is several trees over and much higher than last year’s nest. I’ve since heard there is at least one baby poking his head up. This was all the way across the lake but that fish the anhinga had caught was too big to pass up and not at least try to take a shot. Cool caterpillar on a weed. It was right after Christmas on a Friday morning. I had just dropped my sister off at the airport for a 7am flight and headed out to Circle B Bar Reserve for a long hike. I had a few days before my hubby’s family came down for New Year’s week. The weather was cool. The first under 80 degree day we’d had in a week. But, the sun wasn’t out and it looked like it would rain any minute. The rain held off but I had to crank up my ISO to get any good light to take pictures. I’m starting to feel like a jinx on yucky weather there. Cloudy on the last 4 trips. Maybe January will be my month, sunny and 70. The tiniest bird I saw that day. 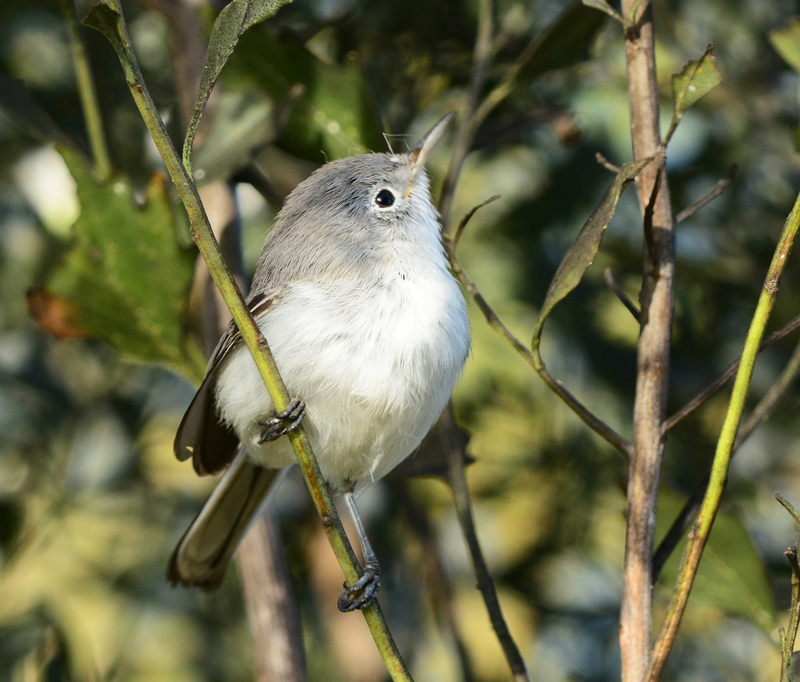 A blue-gray gnatcatcher looking up. 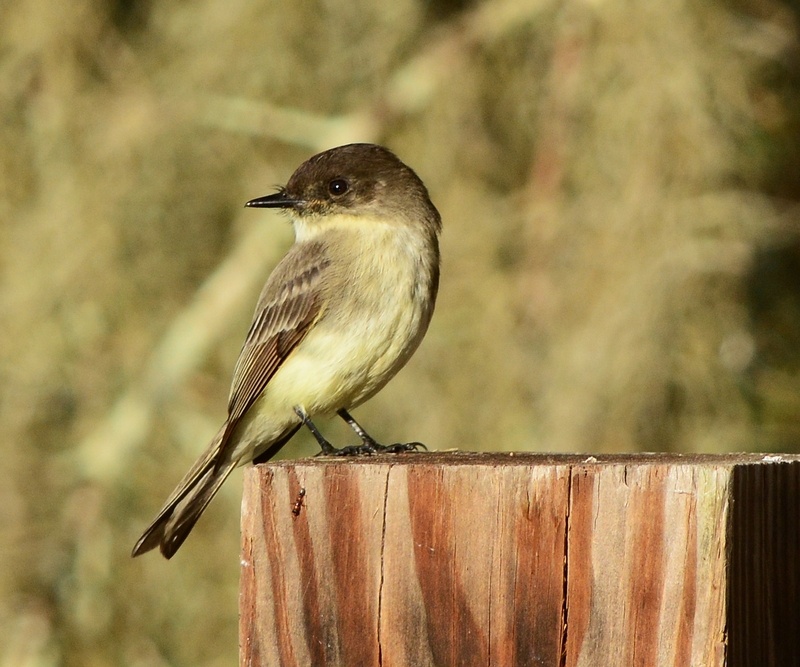 Not too much bigger is the eastern phoebe. You can usually find them hanging out at the intersection of Marsh Rabbit Run and Heron Hideout. 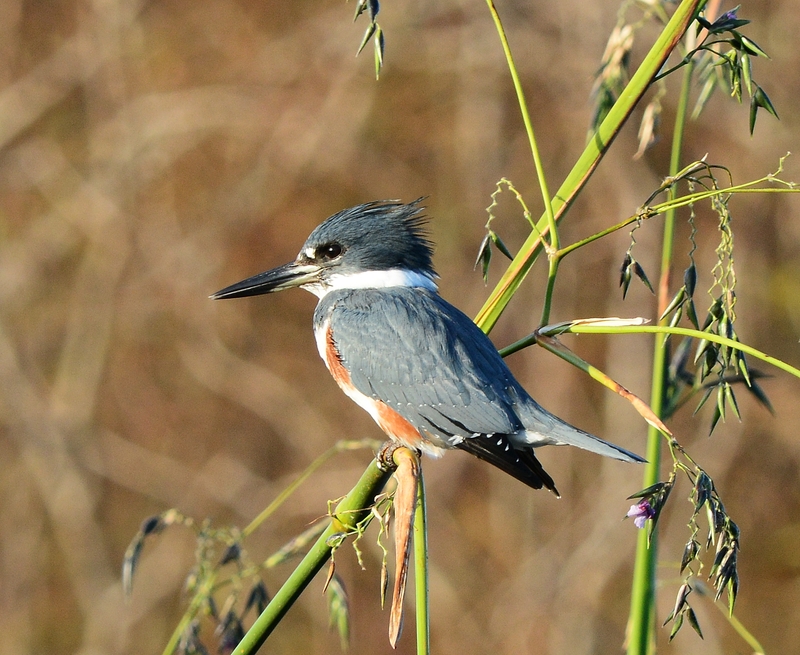 A little bit bigger, there’s been a kingfisher hanging out in the same corner as the phoebe. 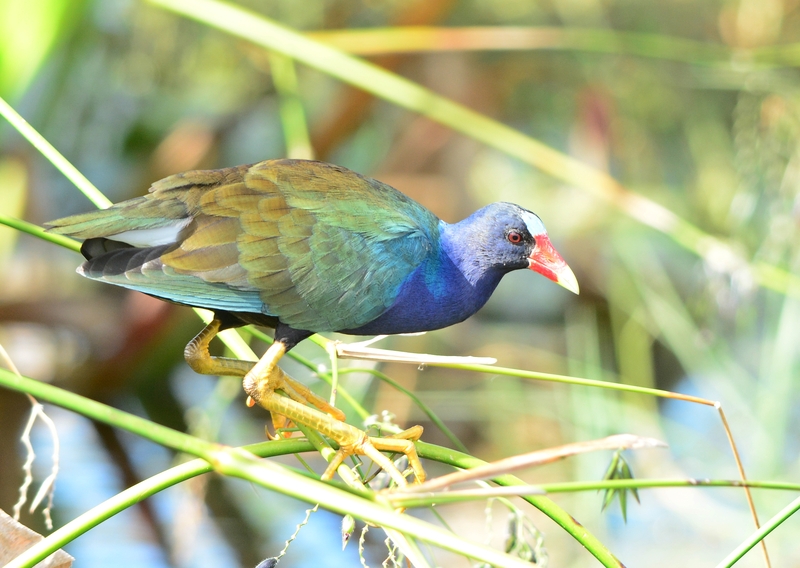 This early fall, there’s been a purple gallinule family hanging out in the same corner as well. 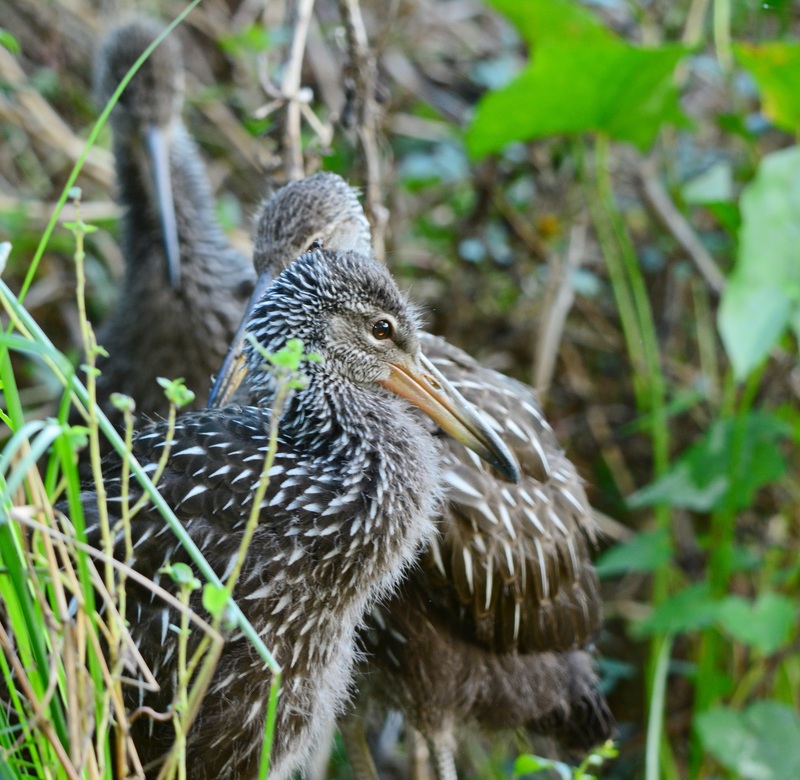 Getting bigger, I found these juvenile limpkins hiding in the marsh. They still have some baby fuzz on them. A parent was close by watching me. 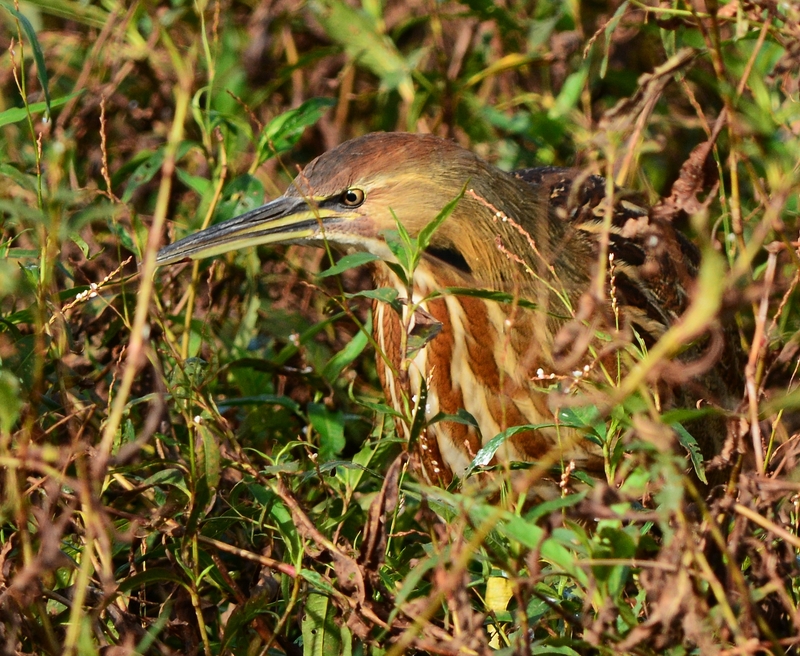 The American bitterns are back. This one was hiding in the marsh on Wading Bird Way. Another photog with a keen eye found him. 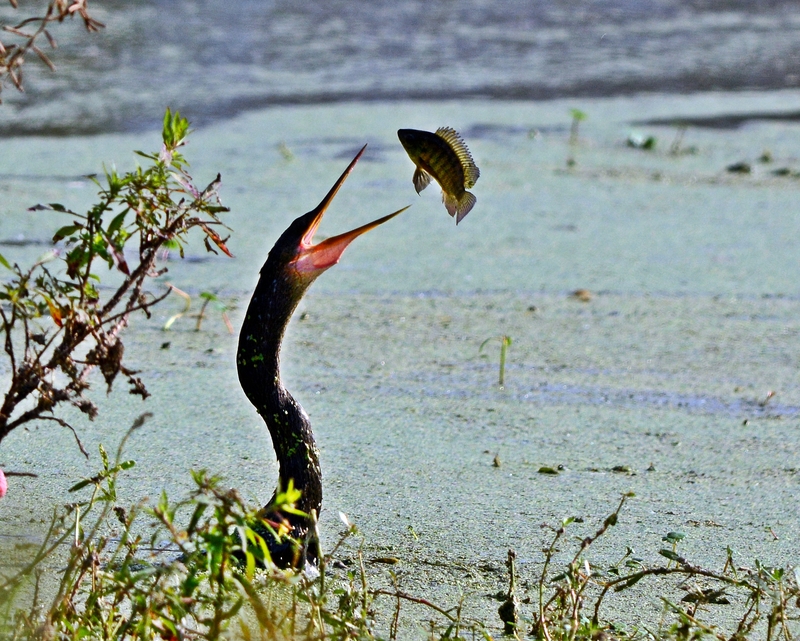 Taken right into the sun, the anhinga was flipping his fish. 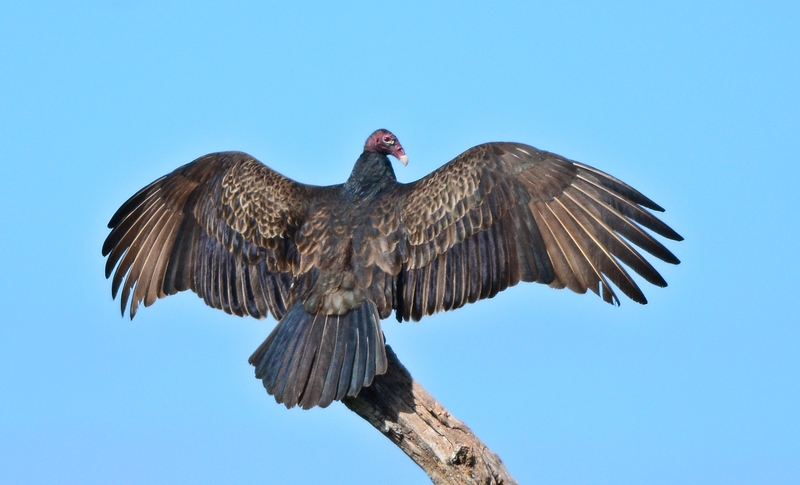 “I’m the biggest one here.” says the turkey vulture showing off. 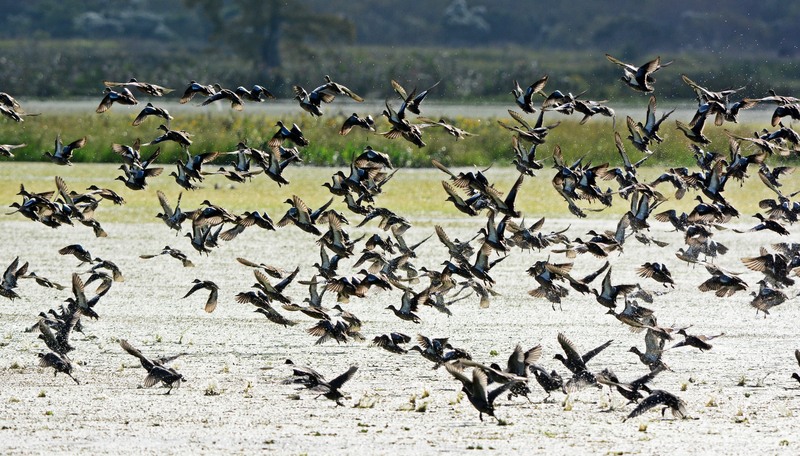 “Bye, bye” says the ducks as they take off after an eagle flew over them. Lots of the same ole thing at Circle B Bar Reserve in mid-November.